Get the full picture here, and then check out all the trims- — including the Explorer XLT — at Glenwood Springs Ford. The Explorer offers three rows of seating for up to seven passengers, plenty of room for the family or friends! Even with all 7 seats occupied, the 2018 Ford Explorer offers 21.0 cubic feet of cargo space in back. For hauling large items it offers a max cargo volume of 81.7 cubic feet with the second- and third-row seats folded. When equipped with the Class III trailer package, the Explorer can tow up to 5,000 pounds. The winter and mountains are no match for a Ford Explorer equipped with AWD. 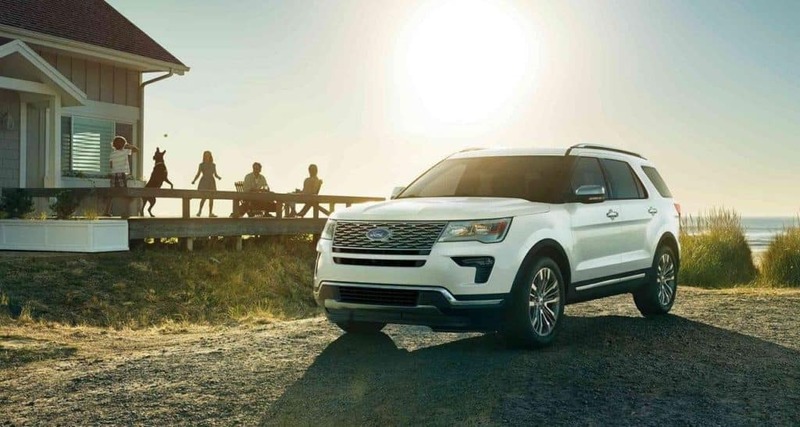 The new Ford Explorer brings the utility you need, and it’s on sale now at Glenwood Springs Ford, located at 55 Storm King Road in Glenwood Springs, CO. We’re open Monday through Saturday, and you can contact us online or by phone at (970) 945-2317. Compare the Explorer to the Subaru Outback, then visit us for a test drive!